I can't stop smiling about my new plant! 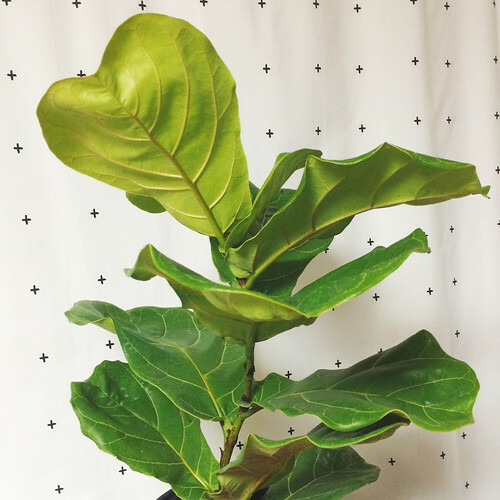 I've wanted a fiddle leaf fig for a reeeeaaallllyyyy long time, and I finally found one for a price I could afford! How exciting?! (Home Depot has an amazing selection of indoor plants! My fig was $12.98 - amazing.) I've read quite a bit about them, and am nervous because they seem like they are pretty finicky. Hoping I can keep Fred happy! Maybe giving it a name will help. Or maybe it will just make it more sad if he doesn't make it... I also need to DIY him some sort of pot covering, so stay tuned! Any of you have a fiddle leaf fig? Any tips? Do you name your plants, or is that weird?